Hands down, fall is my favorite time of year. Granted I live in sunny California, but still, I love everything about it from the leaves on the ground, to the crisp chill in the air, to the chunky knit blankets, and cozy cashmere sweaters. But out of all of the season's comforts, the nearest and dearest to my heart would have to be the assortment of warm and delicious beverages that come out of hibernation every autumn. PSL anyone? Or how about a salted caramel mocha? Yum! With so many stops to the local barista in my future, it's only right that I act responsibly and invest in a reusable to-go cup. However, I can't walk around town sipping my artisan latte from just any old thing. And thanks to the iconic Danish brand Stelton, I don't have to. 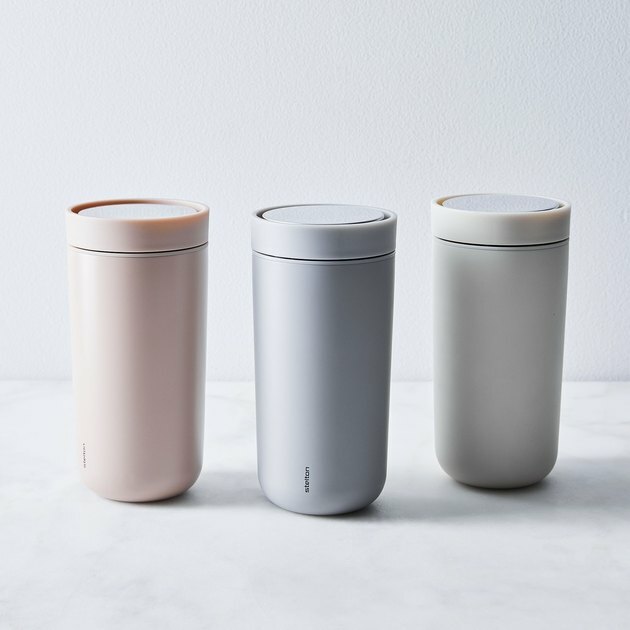 Their minimally designed tumbler is so chic and it's available in new muted pastels perfect for fall. Swoon! Whether I'm in the mood for something hot or iced, the double walled construction of this beauty will keep my drink of choice at the right temp for the entire commute. Plus it's BPA- and phthalate-free, too. 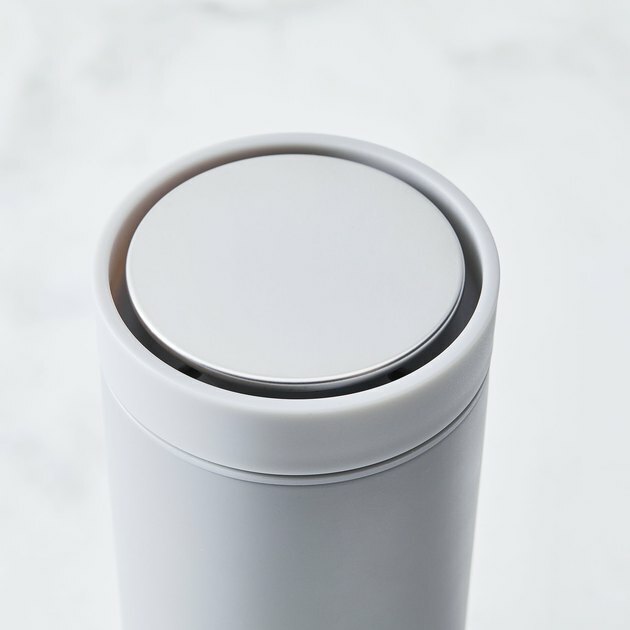 And in case I needed more convincing, the coolest thing about this innovative cup is that the lid has a "smart click" function which makes it super easy to open and close. And there is no spout or "right" side that I have to attempt to find while driving, so gone are the days when I show up to work with a coffee-stained shirt. Its sleek, modern design allows me to drink 360-degrees around, just like I would if I were at home, snuggled on the couch with my favorite "But first coffee" mug. So, BRB ... going to grab one in every color. 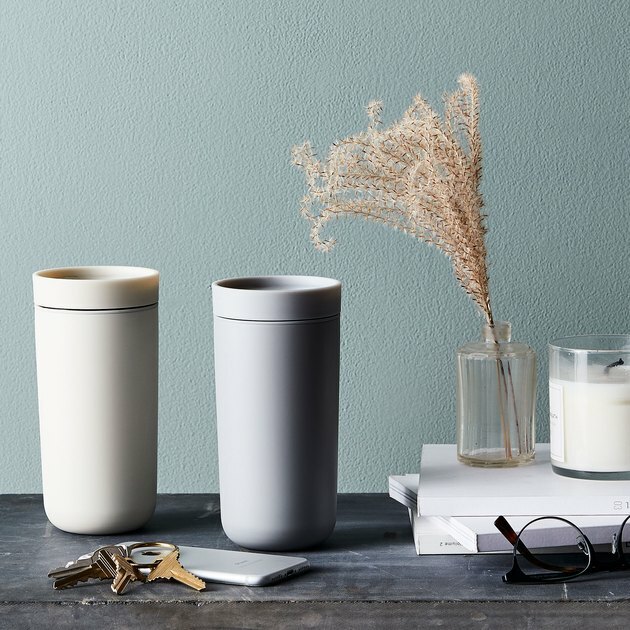 Stelton To-Go Click, $32, available at Food52.